Just outside the medieval town walls, on the edge of the old town centre of Sassari, you can admire one of Sardinia's most spectacular squares. Piazza d’Italia is the heart of the capital of the ‘Costa di Sopra’. 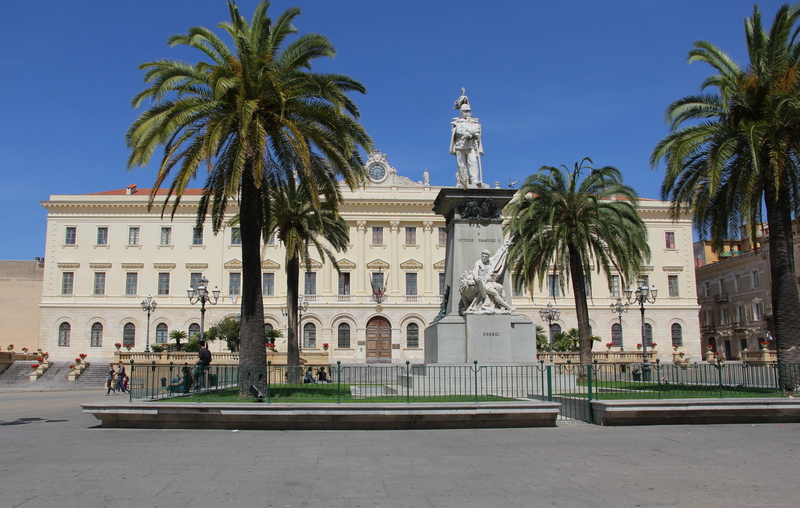 In the centre of the square, stands the statue of Victor Emanuel II, created by the sculptor Giuseppe Sartorio. It’s inauguration in the presence of royalty in 1899 was also the occasion on which the first edition of the Cavalcata Sarda (Sardinian parade on horseback) took place. 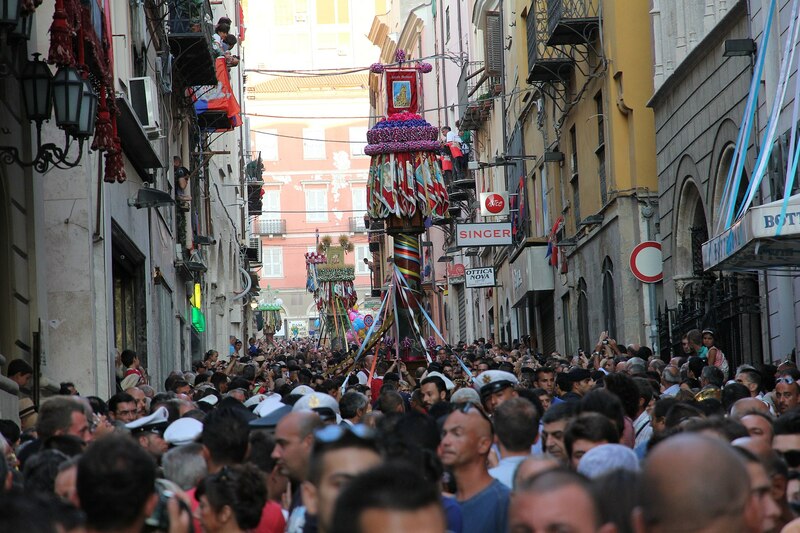 This is a town event (in May), long-awaited throughout the Island, along with Discesa dei Candelieri (Descent of the Candlesticks) on 14 August. The first project was created at the beginning of the 19th century under the more general urban expansion plan. In reality, however, it took shape at the end of the 19th century, just after the Unification of Italy: the levelling work in 1872 regard a square with sides measuring 100 metres. Designed by Eugenio Sironi and Giovanni Borgnini, in the space of four years the paving of the square and the two main buildings that look out onto it emerged, becoming symbols of the town. 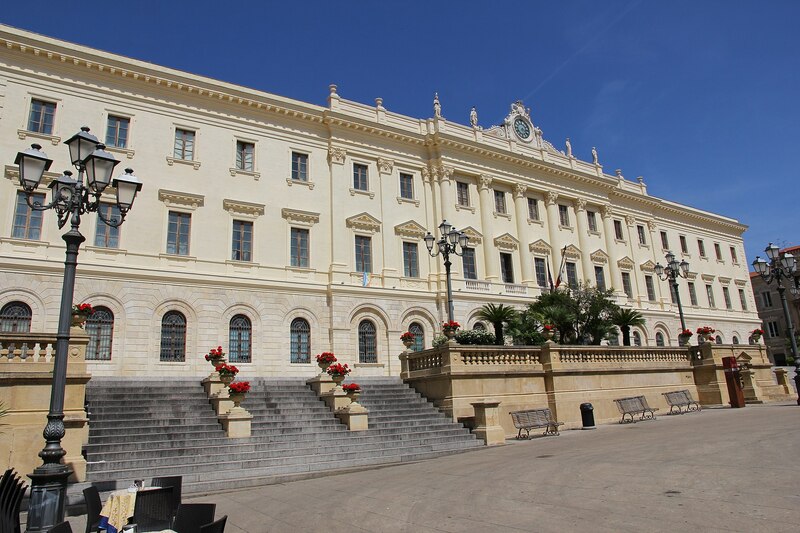 On the northeastern side, Palazzo Sciuti was built, in which Sassari’s provincial headquarters have been located since 1878, with unmistakable traces of Neo-Renaissance architecture. The 265 rooms, galleries and corridors in the building extend over an area of four thousand 500 square metres, including a courtyard with a portico and commemorative plaques and a garden. The splendour of the building matched its role: the halls were used to accommodate royal visits. The original furnishings still remain, among which the furniture from the chamber of the king and queen. A curious fact: a parchment was inserted into the foundations, to commemorate the names of the building’s promoters, along with two coins - one gold and one silver. The name was chosen in honour of the Catania-born artist Giuseppe Sciuti, who adorned the building with a series of classical-style frescoes. You can admire them in the council chamber: it is an allegory of the history of Italy. The building was embellished in 1880 by a big clock placed on the façade. 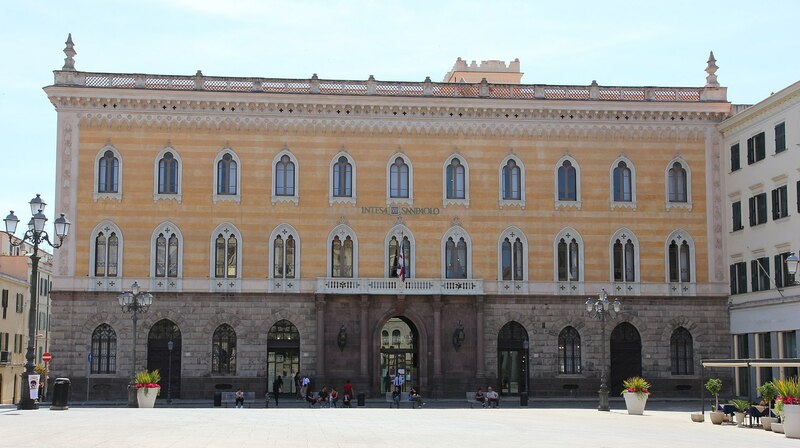 The other building is the neo-Gothic-Venetian-style Palazzo Giordano, designed by Luigi Fasoli in 1878 and commissioned by senator Giuseppe Giordano Apostoli. 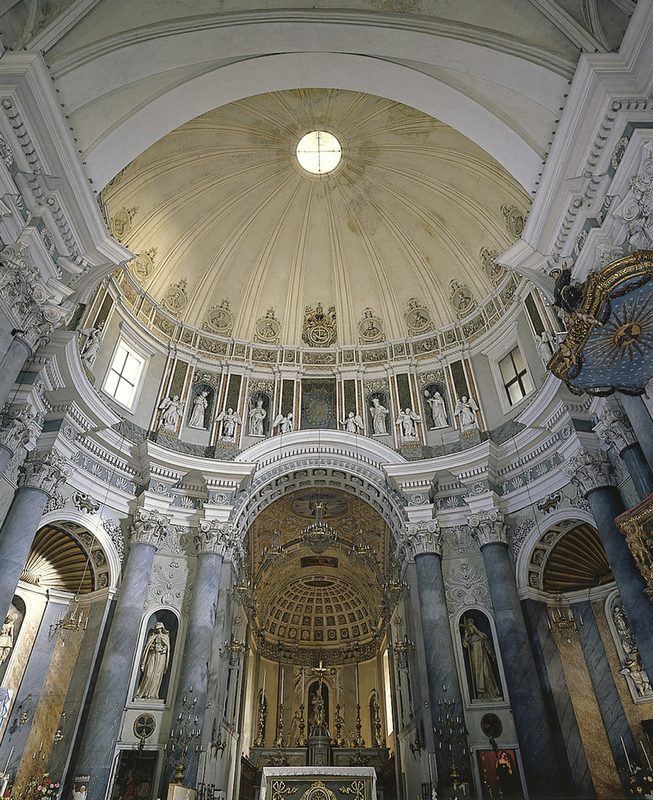 The ground floor, which has a trachyte surface, is decorated with rounded windows and an ashlared ceiling. In the middle stands an impressive portal framed by four columns supporting the balcony on the first floor. Here, Siena-style double-lancet windows open up, while the second floor is decorated with tri-lobed single-lancet windows. The rooms are filled with ornaments, stuccoes and frescoes: the ‘yellow room’, a state room, stands out and is enriched with paintings by Guglielmo Bilancioni. You will also be impressed by the mosaic floor and majestic staircase with motifs from medieval times. The journey of discovery of the royal city begins in Piazza d’Italia. This city is rich history and art and various prominent figures of the Italian Republic were born here. When walking along via Roma, you will come across the G.A. Sanna, museum and you can admire the Bargone Crispo porticoes. Continuing on along Viale Umberto, you will enter ‘Old Sassari’. 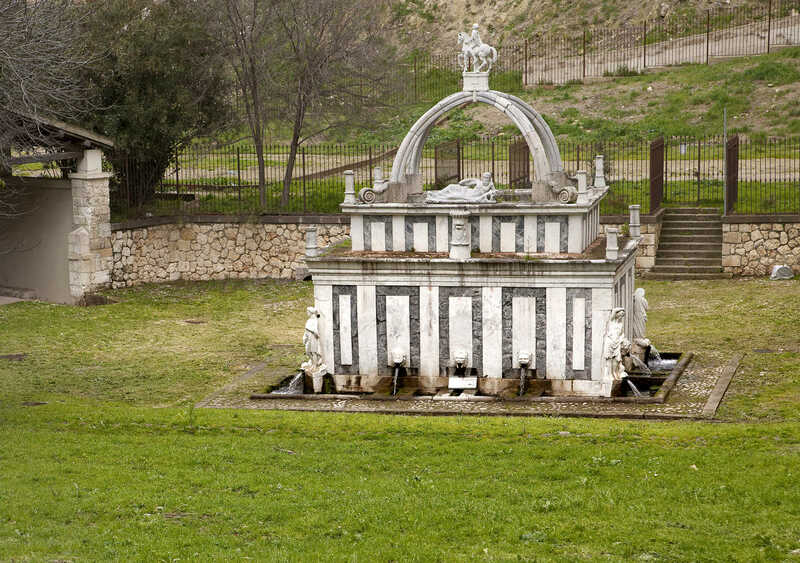 In the town centre you can admire the Cathedral of San Nicola di Bari and the Church of Santa Maria di Betlem, the most ancient, while in the outskirts there is another symbol of Sassari: the Fountain of Rosello.